Currently, refinance rates are at historic lows — but not for long. In April of this year, average rates for 30-year fixed mortgages decreased to a new bottom from an already low point. Since consumers and real estate professionals have been waiting for an increase to happen, these low rates continue to spur increased lending and refinancing activity. If you hold an existing mortgage at rates higher than they are currently, now will be your best time to refinance. Rates are currently lower than they were at this time last year, so even if your mortgage is recent, locking in a lower rate can end up saving you substantially in the long run. Unfortunately, some consumers thinking about refinancing have fallen prey to the common misconception that if they wait, rates will continue to go down. Gamblers may have seen this pay off in incremental percentage points over the last year, but experts advise that rates could go up, making today an excellent time to refinance. You may think that current rates aren’t enough of a difference from what your mortgage rate is to make refinancing worthwhile, but think again; even a drop of a quarter of a point can end up saving you on your monthly payments. Want to see lower monthly payments? Do the math on a refinance. How Have You Improved In The Eyes of a Lender? Since you’ve had a mortgage, if you’ve been responsible with your payments then you may notice your financial picture looks better on paper. Check your credit score to see if it has improved; this will help you make sure you are eligible for the lowest rates. If your financial picture hasn’t improved, for instance, if your current mortgage pushes your debt-to-credit ratio over the ideal amount, you may find that your score has dropped. It’s important to know what your finances currently look like before considering a refinance. 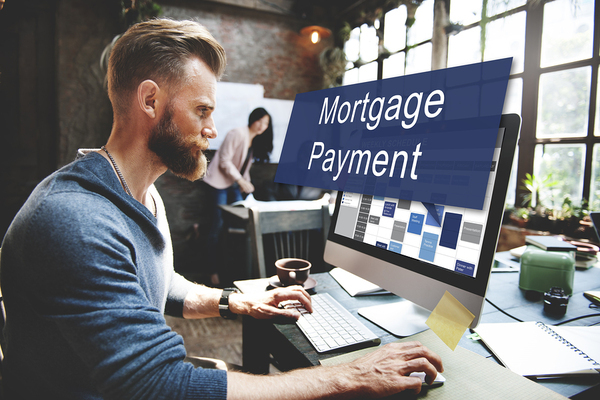 The final consideration to keep in mind about your own finances is that mortgage lenders will look for an ideal debt-to-income ratio, or the amount of money you owe on all accounts each month as compared to the income you bring in. Lenders like a ratio of around 43% or less, which gives them the security that you can cover your bills. If your income has increased since the time you got your mortgage, refinance while you’re in the best financial situation. A mortgage refinance will save you on the interest you need to pay on your current loan, but it doesn’t come free. You may have to pay closing costs and other fees, so the best thing to do when considering a refinance is to try and plan for how long you are going to stay in the house, how much you’ll end up saving over that duration, and then compare that number to your costs and fees. There are several refinance options available that require no out of pocket expense. We encourage you to speak to a loan officer to discuss your unique situation. You also may be able to get better loan terms with a refinance; for example, if you have a 30-year mortgage that you’ve made significant payment towards, you might be able to swap that out for a shorter term, which will save on additional interest payments in the long run. If you’re ready to improve the rates of your current mortgage, consider a refinance now, when you’ll be able to lock in some of the best terms in recent history. Apply for a loan to get started today.